They're all my favorites, how about you? Sherbet was originally designed to be a 3-piece collection resembling rainbow sherbet. 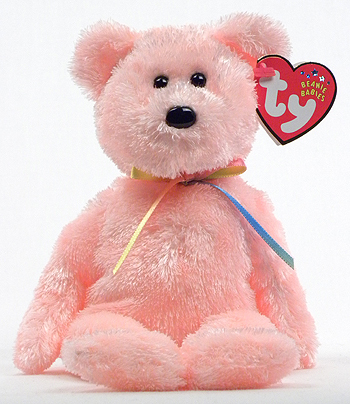 Ty introduced three Sherbet bears in 2002, and three more in 2003. The other sherbet bear colors were blue, green, hot pink, lilac, and yellow.